What is Zakat and How to Pay It? Islam is a religion that gives the message of love and peace. It wants its followers to live in peace and harmony in the world along with people of other religions and assist each other in making the world a better place. It is this moto of making the world a better place and helping others that Islam emphasizes on charity. In Islam, charity holds such a great place that it is an obligation on Muslims in the form of Zakat. In Islam, Zakat is one of the major pillars of Islam, and those who are wealthy enough, for them it is mandatory to give Zakat. However, when it comes to paying Zakat, there are different misconceptions that are prevalent among Muslims. The lines below discuss the importance of Zakat in Islam and the general misconceptions people have regarding it. In Islam, Zakat is the fourth pillar. 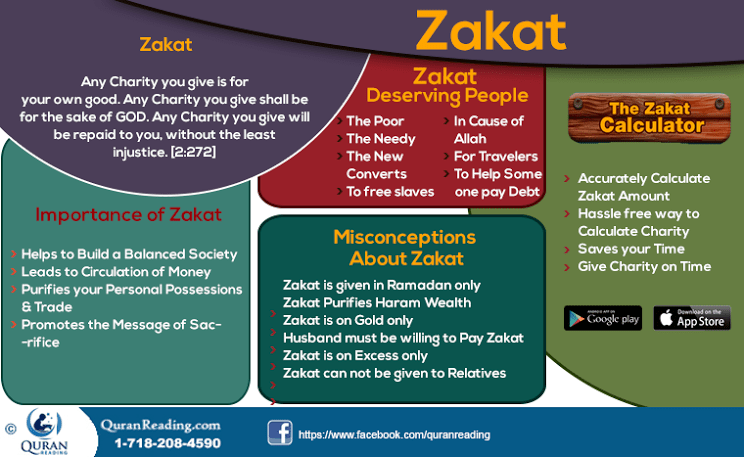 Zakat refers to purification in general and purification of wealth in particular, therefore, those Muslims who have wealth over a certain ratio, they are liable to pay Zakat on it and give it to those who are less fortunate and don’t have sufficient means to live their life in a standard way. Pertaining to the question of Zakat, the skeptic ones ask the question that why do they have to pay from their earned money and wealth to the others? The answer to which is as follows. Besides the fact that Zakat is an obligation and fulfillment of it leads to a Muslim getting reward from Allah Almighty and intentional swerving from it leads to a Muslim receiving punishment from Him, there are other reasons which one can find pertaining to the importance of Zakat. Helps in Building The Society – The first benefit of Zakat is that it helps those in the society who are less fortunate. If one class of society keeps on gathering all the money and does not provide anything to anyone else, then the rest would stay in the same plight and the society would be distributed in sections. Therefore, when the wealthy of the society give Zakat, it means that the ones, who are non-wealthy, get a chance to enjoy a better lifestyle. Circulation of Money – The second thing that Zakat brings to table pertaining to its being an obligation is the fact that it leads to circulation of money. Zakat is a form of charity and any charitable deed means that the money gets out of the hands of the ones who are already filthy rich with it. Thus, this way the money gets out of the circle of a few people and circulates in the whole economy. Develops a Sense of Sacrificing – Thirdly, Zakat also gives and teaches the message of sacrifice. Wealth is perhaps one of the major elements which people love the most. Therefore, when a person gives from his or her wealth, it actually means that he or she loves the order of Allah Almighty more than their personal liking and they are willing to sacrifice the thing they love for the order of Allah the Magnificent. The Poor – These are the people who don’t have means to live their life properly and live below the line of poverty. The Needy – These people are also poor, however, because of their pride and bashfulness they don’t expose their poverty. The Collectors – These are the people who are given the duty of collection of Zakat from other people, however, they themselves cant afford to live a normal life. The New Converts – People who convert to Islam are also eligible as Zakat recipients as with their conversion to Islam they need assistance and help for a new start in life. To Free Slaves – The money of Zakat can also be spent on freeing the slaves as well. To Help Someone Pay Debt – Those who are in debt and cant afford to pay it off on their own are also eligible for Zakat. In Cause Of Allah – Zakat can also be given to people who strive in the way of Allah, especially in the form of fighting the usurpers. For Travelers – Zakat can also be given to the travelers and wayfarers as they might need the money when it comes to travel arrangements. Besides the major misconceptions of Zakat, Muslims often find it difficult to calculate the amount of Zakaat liable upon their possessions. There are many ways one can adopt to to calculate the charity amount, however, the one which nowadays seems much reliable is to use a Zakaat calculator. Zakaat calculators are often especially designed by taking all necessary measurements in control that help in knowing the amount accurately. If you are one looking to calculate the total amount of charity on your personal belongings, you can download the Free Zakat Calculator developed by The QuranReading.com. It is one of the popular mobilephone application which you can install in your smartphone to be able to calculate the amount of charity. Given below is a screenshot of the Zakat Calculator that clearly illustrates structure of the app. There are several misconceptions related to Zakat that have become prevalent among Muslims. The lines below address those misconceptions and give the true version of them. The first misconception that people have pertaining to Zakat is that it is to be paid in the month of ramadan only. Although Ramadan is a month of being charitable, however, it in no way means that a Muslim must pay Zakat in this month only. Rather, the time when a Muslim becomes liable for paying Zakat, a year from that time is the time frame within which Zakat is to be paid. Therefore, the duration of year is what needs to be kept in mind and not the month of Ramadan for giving Zakat. Zakat is only and only liable on the Halal earnings of a person, therefore, there is no chance that Zakat can be relied upon as a means of purifying the wrongly earned wealth. Hence, it is only liable on Halal earned wealth and should be paid on it only. The third misconception related to Zakat is that it is only liable on gold. It is wrong. The gold mentioned in Quran and hadith is as a standard unit of measurement, therefore, anything whether its cash, silver, stocks, livestock, property or another asset that is worth the same amount as the gold mentioned by Islam, it is liable for Zakat. The general misconception is that it is the husbands who are liable for paying Zakat for the jewelly of their wife. It is wrong and as jewelry is the personal property of the wife, therefore, she must pay its Zakat and if she is unable to do so then she needs to sell the jewelry to pay Zakat or until the jewelry is below the level of being liable for Zakat. However, if the husband is willing to pay Zakat on the behalf of the wife, he can do so, but it is not mandatory on the husband. The other misconception among people is that they think that Zakat is liable only on the wealth that is in excess of the requisite amount of wealth. They believe that the requisite amount gets exempted once one reaches it and anything in excess is Zakat deductible. 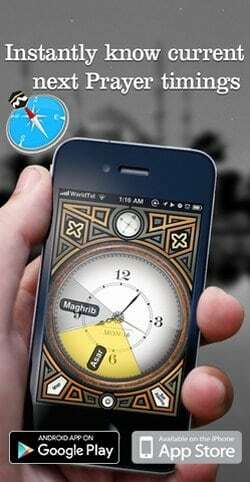 It is also wrong, and all of the wealth becomes Zakat deductible once one reaches its requisite figure. Muslims think that they cannot give Zakat to their poor relatives as they are a part of their family. The relatives who are not in blood relation with you such as parents, spouse, children, and siblings, any relative other than that is eligible for Zakat and should be paid Zakat. In a nutshell, Zakat is a mandatory tenant of Islam and the objective of it is to help the society share the bounties of Allah and give a chance to the unfortunate ones at a better life. Therefore, every Muslim must gain knowledge about Zakat and ensure that it be paid to the deserving people. Surah Rahman: And Which of The Favors of Thy Lord Will Ye Deny?